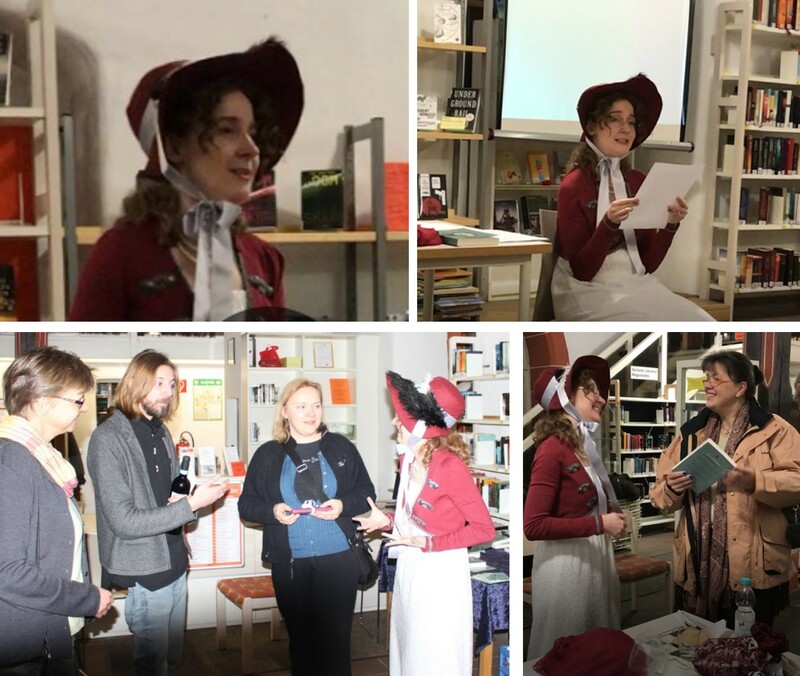 A stylish local roasting facility hosted the latest literary event organised by book shop Kempter in Hoehenkirchen / Germany. The treat for the audience: tasting freshly brewed espresso, and listening to three new authors presenting their books. 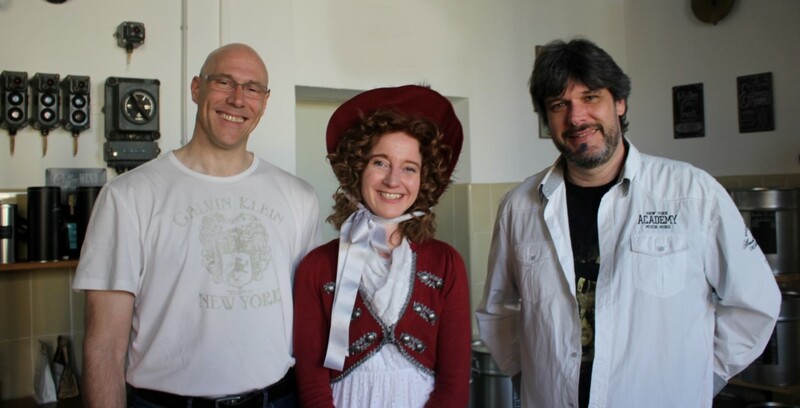 It was a lovely idea, and I am delighted to have been offered the chance to read from the first chapter of my historical novel “Von tadellosem Ruf” (‘Of impeccable reputation’). Joining Simon Gerold, author of a novel set in ancient Rome, and Thomas Buttgereit, who read from the travel diary of this motorbike tour along the Pan-American Highway, was great fun. Thanks to everybody for creating an inspiring and entertaining event! 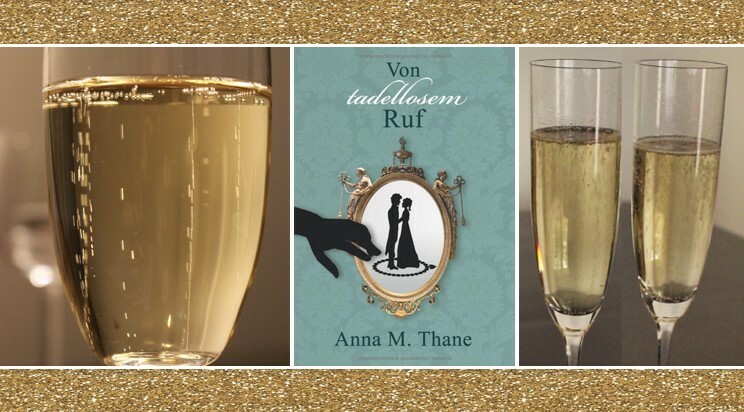 My Historical Romance titled “Von tadellosem Ruf” is now available! It is an unforeseen blow for Lady Linfield when her nephew Robert Rothleigh, the black sheep of the family, inherits the title of Lord Cavenham. Robert is infamous for having caused anything from gossip to scandal, and Lady Linfield had always wished him as far away as possible. All this Lady Linfield will take care of. But what if the chosen bride, Georgina Standon, has different ideas about her future? And will Robert comply for the first time in his life? Soon, Georgina and Robert are embroiled in a swirl of incidents and misconception. The theft of a valuable necklace and an abduction put additional obstructions in their way towards a happy ending. 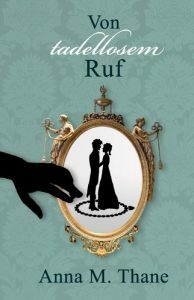 „Von tadellosem Ruf“ is available in major Online-Shops in print and as e-book (ISBN: 9783744854313). 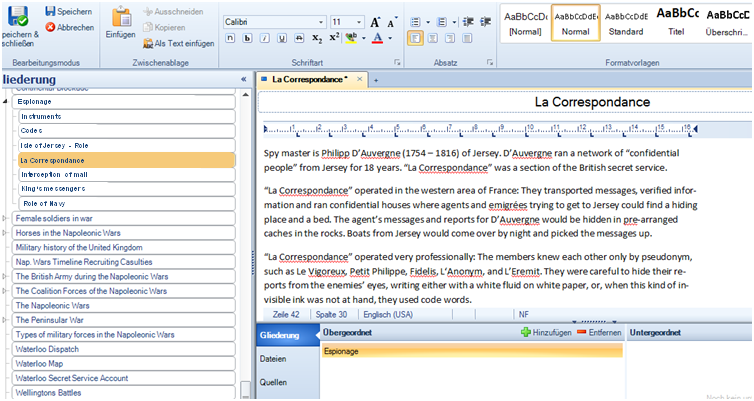 The novel is written in German. Writing historical novels – be it about the Middle Ages or the Regency – requires access to a lot of historical information. I want the data I have collected as handy as possible. Today I invite you to have a look at the set-up of my Historical Research Database. Here is my new 5-Minute Novel. Inspiration hit me when I was doing research for my post “Writer’s Travel Guide: The Jersey Connection“. I found a most useful book about the Isle of Jersey during the Romantic Age: Balleine’s History of Jersey. 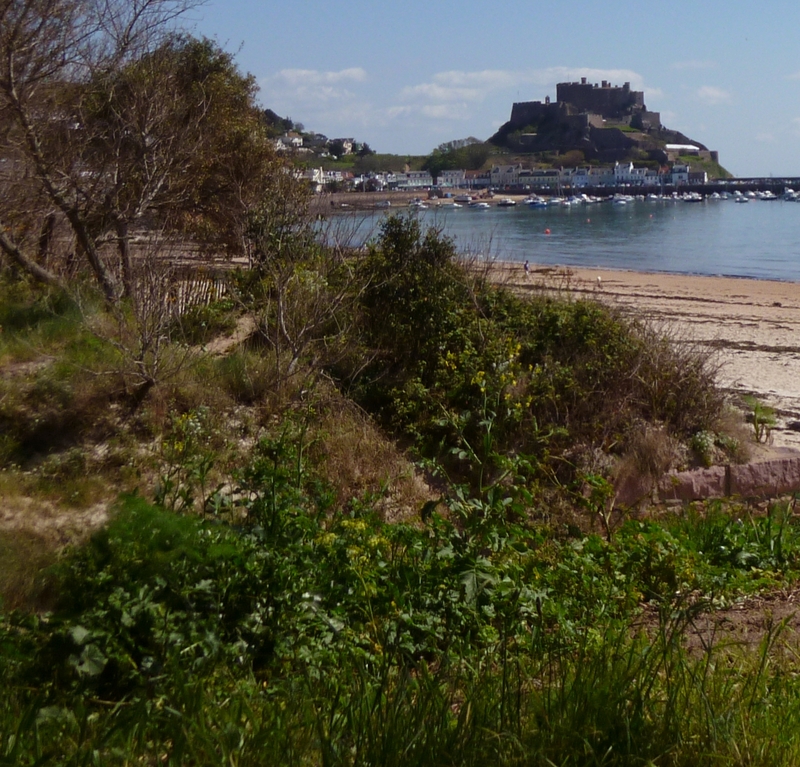 While I read the passages about the French émigrés at Jersey, plot bunnies sprang up. Read here the story they carried with them. This is my first 5-Minute Novel. Inspiration hit me when I was doing research for my introductory text to the new exhibition about letterpress printing at the Museum of Creativity. I found a most useful book about printing at the university library: Michael Twyman’s “Printing 1770 – 1970, an illustrated history of its developments and uses in England”. It provides helpful information about the printing business in the Regency period and new techniques. While I read it, plot bunnies started hopping all around me. Read here the story they carried with them, and find out which historical facts inspired them. It is the City of London in June of the year 1808. The Honourable Thomas Morrington is the second son of a squire. He is 20 years old and fond of novels and writing. It is his dream to write a great gothic novel and become as famous as Ann Radcliffe. Regency Explorer starts a new series of posts combining entertainment and facts about the Regency: the 5-Minute Novel. When researching history, you come across historical facts that turn into plot bunnies just by themselves. A plot bunny is an idea for a scene or a story. So you read something about history and immediately get an idea for using it in a story. You think some more about it and see a whole novel developing. 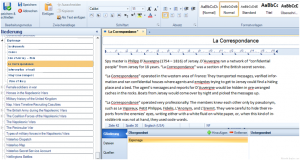 Developing a plot for a novel can be tricky. Today, Sarah Waldock, author of Regency romances and historical mystery stories, presents an amazing creative method: Writing by dice. Her post offers a unique insight into the creative process and shows how the element of chance can be successfully employed to enhance a plot. This post is dedicated to all persons who feel fobbed off by my aloof advice. Today, I will explain the development of a character properly. To give you an insight into the creative process, I will use a “real life” example. tools for handling the characters’ data. I also mentioned that it is useful to write a biography for each character. While it is a lot of work, there are certain benefits. How does a biography help?